Hello and happy Friday everyone. I was googling something today and stumbled across this short article about some baby sea turtles. It’s cute and worth a look at. Have a wonderful weekend. Look for my new series of writing to start this Monday, Jan. 19th, called Mockingbird Mondays. The first one is just an introduction about what I am planning to attempt. 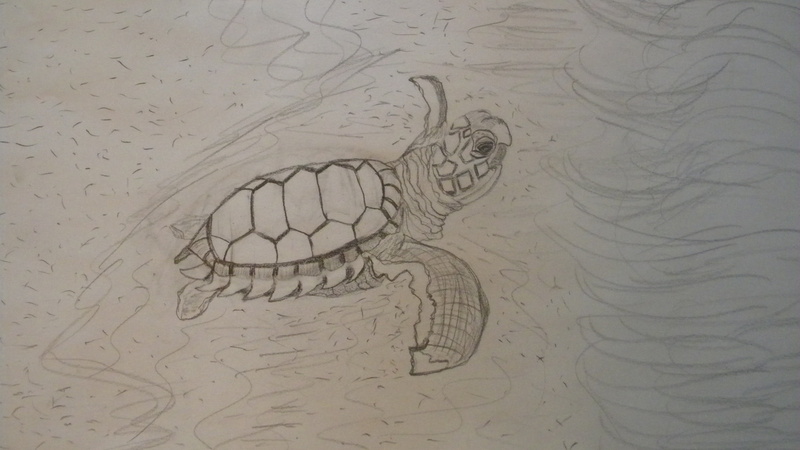 Posted on January 16, 2015, in Sea turtles and tagged Sea turtles, sketching. Bookmark the permalink. 5 Comments. Happy Weekend and love the little one! !